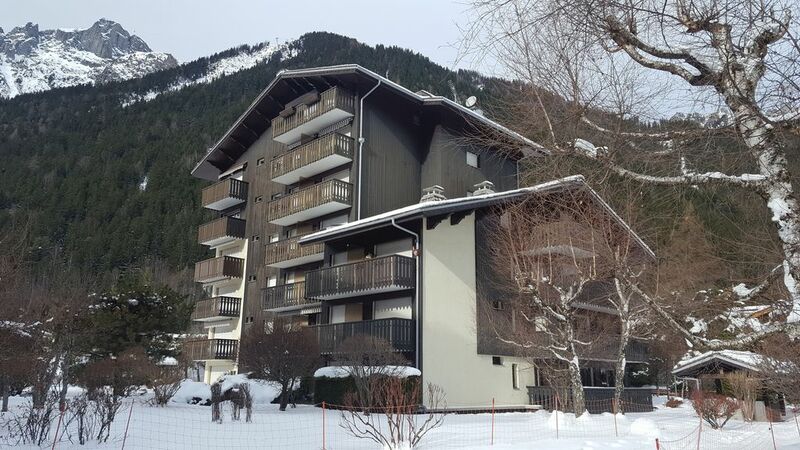 Beautiful studio sleeping renovated ideally located on the ground floor on the slopes of the closed savoy giving access to the Brevent ski area and Flégère. located in a quiet and 1 minute from the center of Chamonix on foot. it is composed of an entrance with sleeping area (two singles Abattables), a bathroom with toilet, a kitchen open to living room with sofa bed. private terrace with beautiful views of the Mont Blanc massif and access to the shared garden, ski locker, cellar and underground parking. very nice apartment. I just returned back from a week in Chamonix where I stayed with my wife in this cozy studio. The location is perfect, very close to the city center and UTMB finish line which is crucial for me. The only problem we had was that there were no bedsheets and I had to buy it on my own, no towels, no clean cover/blankets and the heater in the sleeping area wasn't working which made our first night very rough. However, the next morning the host provided towels and cover for us, the heater remained unfixed though but we managed to live without it. Overall, I liked the studio apart form the issues we had during the first night which should be explicitly mentioned in order to account for. Just returned from a week at this studio in Chamonix, it was myself and a friend, this sturdio apartment was perfect for the both of us. It is walking distance to literally everything in Chamonix, I will for sure be back again. This is a typical tiny Chamonix apartment, however having stayed in several such apartments in Chamonix in the past I would highly recommend this one because of its great location and the helpfulness of the owner in facilitating the booking process. The location is great as you're only 5mins walk from the centre of town. It's quieter at night than a lot of places in Chamonix Sud. You can ski pretty much right down to the front door and it's a 5mins walk to the baby drag lift that takes you to the main Brevent lift. One word of warning: it's only worth skiing down the long black from Brevent down to the resort at the end of the day if there's been a lot of fresh snow, as otherwise you'll damage your skis on rocks! Still, even if you get the main Brevent lift back down at the end of the day you can ski the last section down the baby slope to the apartment. Inside, the apartment has just enough space to squeeze 4 people in. The bathroom is relatively spacious and the shower works well. Would most definitely stay again! We stayed here as a group of four and loved the apartment. It is cosy but perfect. The apartment is in a fantastic location: near all the bars and restaurants and at the bottom of the beginners slope next to the Brevant lift (enabling you to easily get the drag to the top and hop on the Brevant gondla).The bus stops to all other ski areas is just outside the apartments. We are very happy our guests loved our studio apartment. We will try to make it everyday even more confortable and we hope to have them back again soon. Golf: The Golf of Chamonix, located between Mont Blanc and the Aiguille Rouge, at the foot of the famous Dru, bears the prestigious firm of Robert Trent Jones Senior. 18-hole course. The clubhouse is located in an ideal position at the finish of the 18th hole and terrace, is open daily. Members and guests gather for a moment of relaxation, a drink or snack in the company to conclude a day of golf in a relaxed and friendly atmosphere. Eliane, Jean-Pierre, Jean-Patrick and Amandine will be pleased to welcome you every day with the same hours as the secretariat of the course. Ski: Chamonix offers an incredible variety of slopes for all levels in the different sites. Great slopes, skiing through the trees, the wild slopes, trails for beginners, the site offers endless possibilities for all snow sports enthusiasts. The runs on three sides (the Argentiere glacier, Lognan and pendant) offer a wide range of multiple and large off-road tracks. Ski and nature of pastures in the background, from Tour and Vallorcine Balme ski area allows a multiple of two distinct sides. Le dépôt de garantie ne doit pas être considéré par le locataire comme une participation au paiement du loyer. II sert en cas de dégradations commises par les locataire.